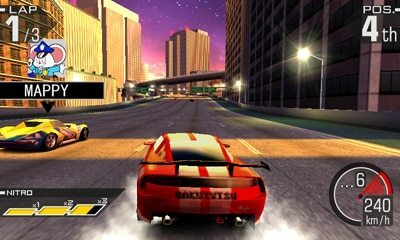 Namco Bandai have today released a further selection of screenshots for anticipated Nintendo 3DS launch title, Ridge Racer 3D. The latest entry in the popular series will provide players with an opportunity to race an all-new line up of high-powered muscle machines that will be accompanied by the existing in-game selection of race-tuned road beasts. You’ll be able to utilise the new Drift Button to pull off spectacular turns around tight corners, as you race around vibrant courses that include canyons and snow-capped mountains in addition to favourite courses from previous Ridge Racer titles.